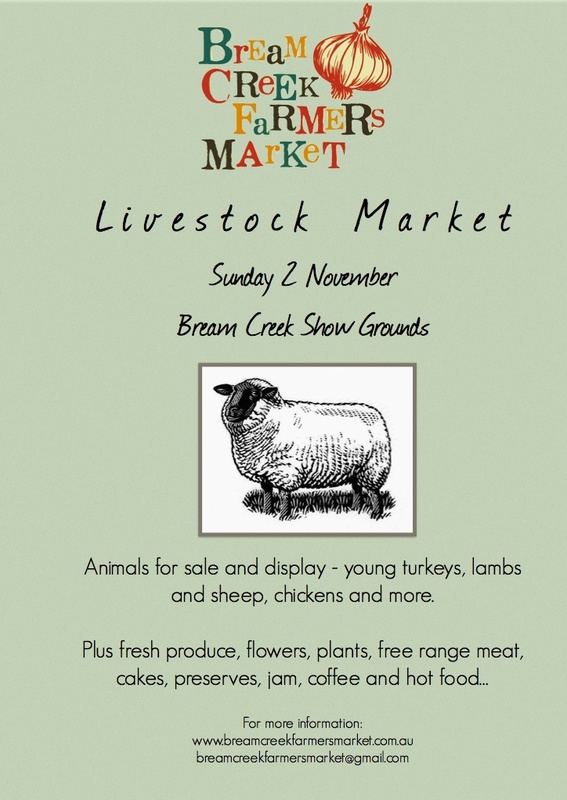 The Bream Creek Farmers Market are VERY excited to be holding the very first Livestock Market this Sunday 2 November. With locally raised animals on display and for sale, it will be a true country market! Plus, we are thrilled to have special guest Paul Healy attending the Market with his renowned Barnevelder chooks. Paul will give a talk to market goers and we are looking forward to benefitting from his expert advice when it comes to keeping and caring for chooks. Local farmers will have live animals for sale and on display, including young turkeys, Dorper and Wiltshire sheep and lambs, as well as chickens and hens. As well as the excitement of live animals for sale, The Bream Creek Farmers Market will also feature a wide range of locally produced food, fresh produce and beverages, including vegetables, plants and flowers, sustainably raised meat, snacks and food, hot drinks, local wines and ginger beer as well as homemade cakes and jams and condiments. A full list of stallholders will be posted here later in the week, so you can plan your shopping list before the Market on Sunday! To ensure the well-being of the animals, patrons wishing to purchase animals are encouraged to bring along appropriate carriers and transport. The Market is complying with all animal welfare and sale requirements as outlined by DPIWE. See you at the Market on Sunday!